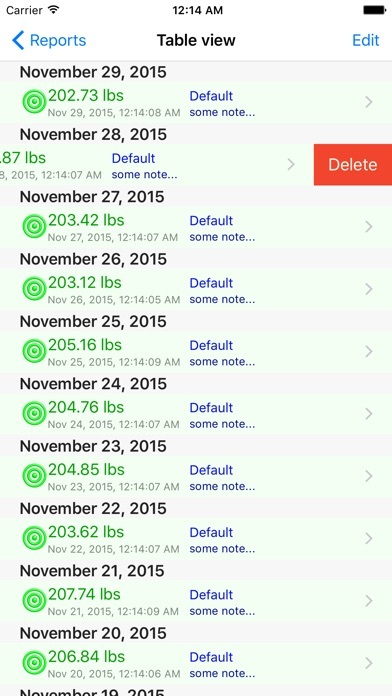 Download iGoal â€“ Weight Advisor free via AppsHawk. 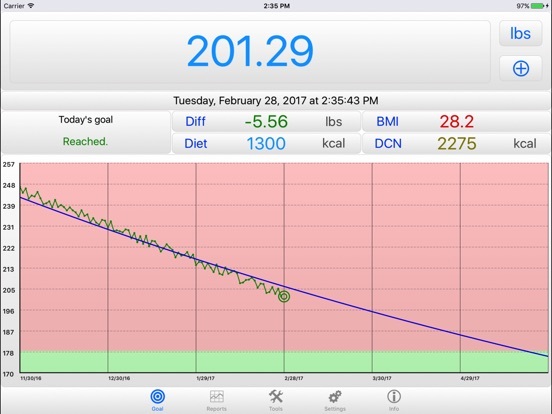 iGoal - Weight Advisor is advanced and easy-to-use tool to watch for your weight on a daily basis. It included tools for recording, editing, exporting data, calculating and drawing statistics and reports. 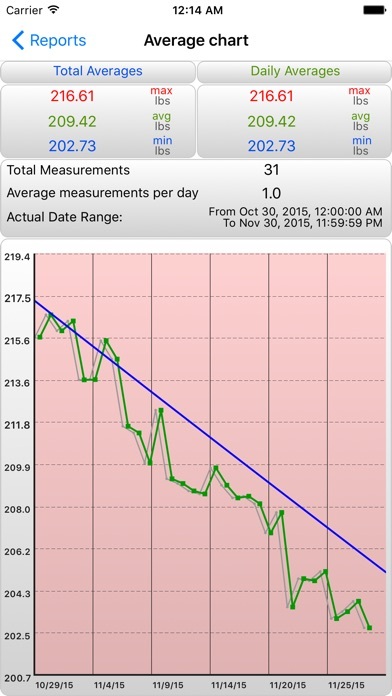 It does not measure your weight. 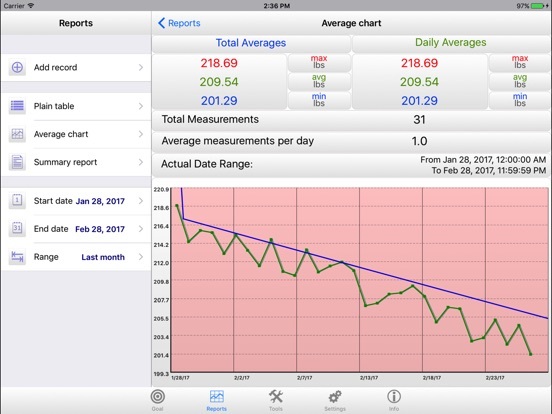 - HealthKit support: two-way sync allows sharing your data with Health app and HealthKit compatible applications as well as using their data to build your own charts and reports. 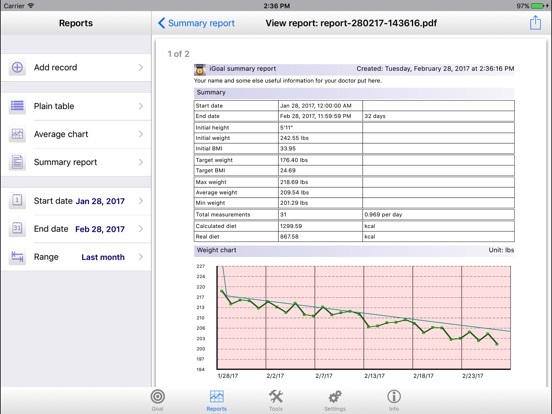 - PDF summary report feature allows building reports with daily and total averages, charts and table data with user-defined list of fields and sorting options. 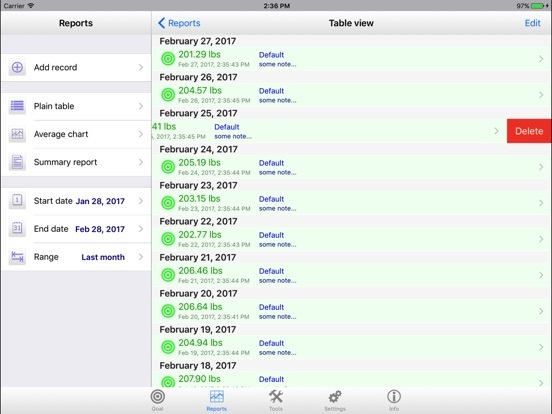 - Storage manager allows removing specific records depending on date range and HealthKit source name. - Exporting data in HTML or CSV format for analyzing by external tools. You can define list of exporting fields, their order in the exported table and sorting by any field in ascending or descending order. 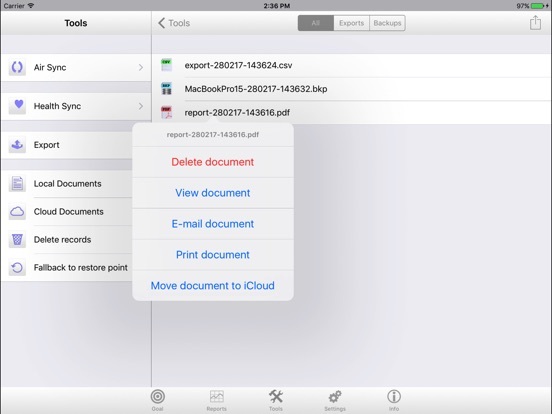 - Simple editing or deleting any saved record. 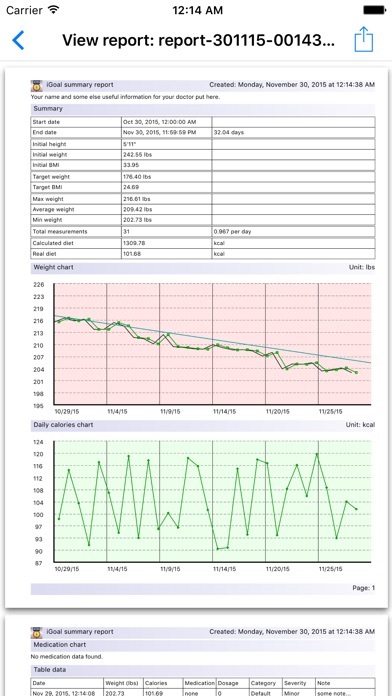 - Auto-scaling logarithmic charts are comfortable as for high as for low values level observation. - Noting by color on the charts low, normal and high value level fields. 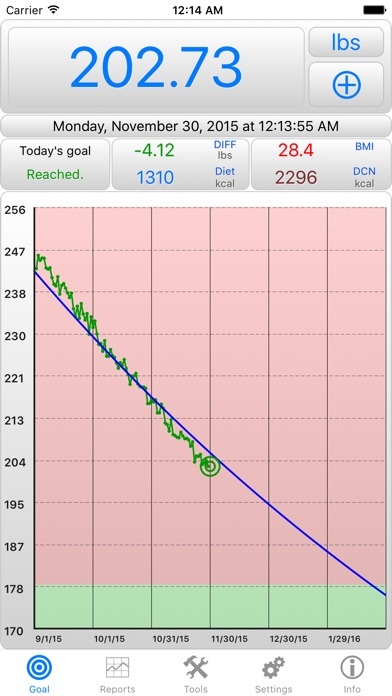 - Marking each history record by red, green or blue icon and color depends on user-defined levels - high, normal or low. 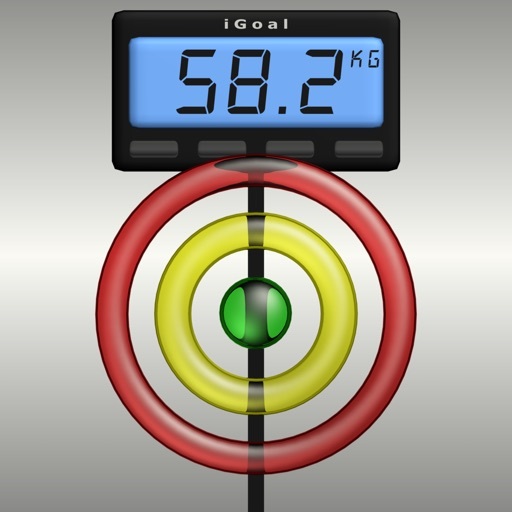 - Supporting both lbs/kg, ft/m units and converts automatically all entered before values. - Included autosaving snapshot for cancelling mistaken mass data operations. - Supports both keyboard and wheel input methods. 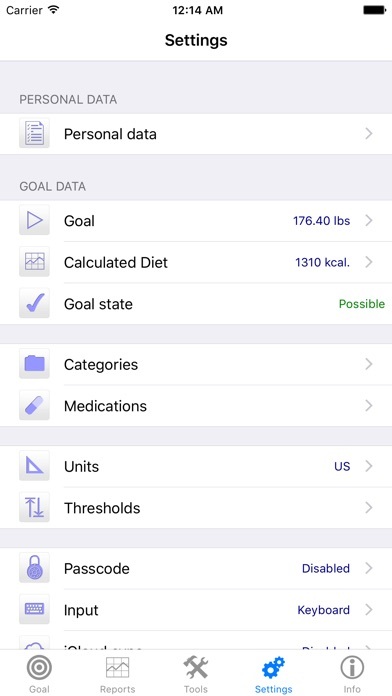 This application is information recording tool only and not intended to diagnose, prevent or recommend treatment for any disease or illness.